The area under winter wheat looks to have fallen a massive 17% this year, according to Teagasc’s provisional cereal harvest estimates 2015. The reduction, estimated at over 11,000ha in the winter wheat area led to a knock-on reduction in production of 14% or 93,000t. 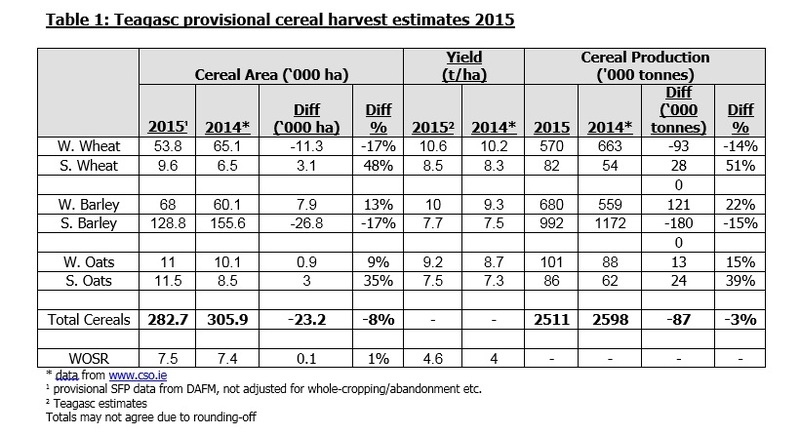 The area under spring barley has also reduced significantly, according to the Teagasc estimates. 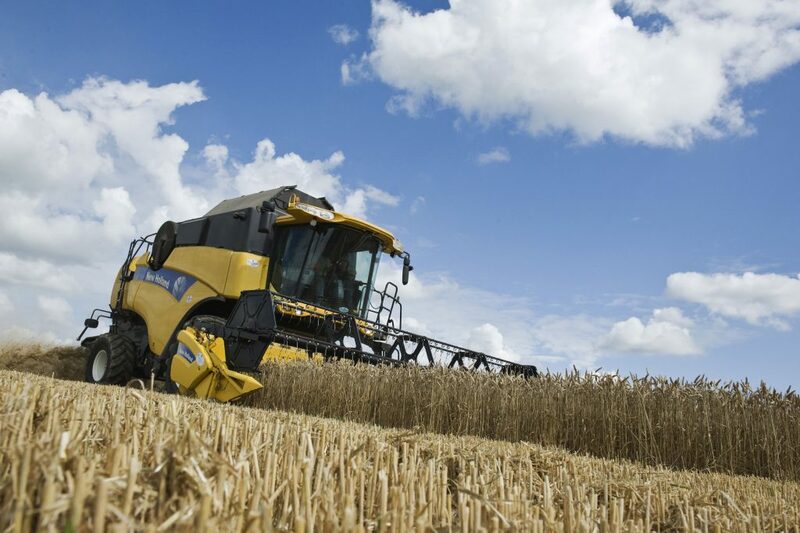 The figures show that this year saw farmers sow almost 27,000ha less of the crop with a corresponding reduction in production of 15% or 180,000t. One of the key reasons for the shifts in Ireland’s cropping patterns is the new CAP greening measures which act to increase the levels of crop diversification across Europe. The Teagasc estimates also show a significant shift by tillage farmers towards winter barley. An increase of 13% or 8,000ha in the spring barley area was seen in 2015 with production up some 22% or 121,000t. There was also an increase in 2015 in the area of land sown with oats in 2015. According to the Teagasc estimates, the area of winter oats was up 9% while the area of spring oats saw a huge increase of 35%. 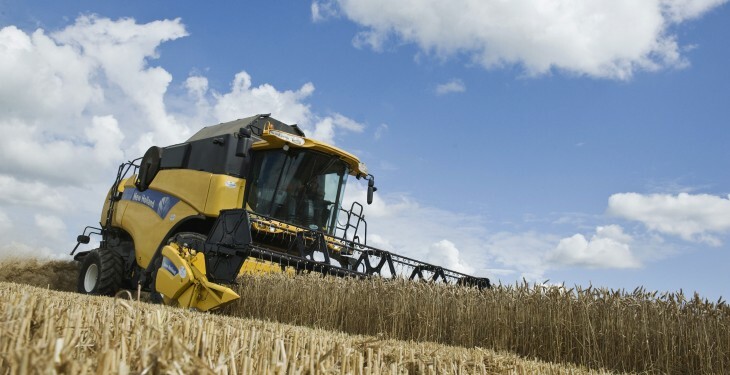 Meanwhile, in contrast to winter wheat, the new Protein Aid Scheme has seen the production of protein crops by tillage farmers surge by 300% this year, according to Department of Agriculture figures. Peas, beans and lupins all qualify for the scheme and the Minister has announced that in order to fully utilise the €3 million set-aside for this Scheme, he has increased the rate of aid that will apply in 2015 from €250 to €280 per hectare.